What do you get when you assemble a score of musical acts to volunteer their talents under the sun and stars in a somewhat magical, semi-mythical setting free of the clutter and chaos of the typical bar/music scene? You get Free the Music Fest 2017 at Lakenenland in Michigan's scenic Upper Penninsula! Festival Organizer and quintessential Marquette street musician Cody Lakenen--wiser and harder working that his age would suggest--had a dream of resurrecting his family's "music party" and making it a proper festival and he knocked it out of the park. I dare say this, while possibly the smallest, was definitely one of the best festivals I attended this summer *(if not the VERY best). It had everything you expect (killer lineup, beautiful place to camp, food vendors, arts and crafts...) along with a professional stage, incredible sound system and hundreds of the most friendly, welcoming and enthusiastic people I've met. All the ingredients for a magical weekend of music. Critical to the enchantment were the grounds themselves. Lakenenland is a free-to-the-public sculpture park and the dream child of Cody's uncle, Tom Lakenen. Like many welders, Tom took up sculpture in an effort to reuse/purpose the iron scraps he ran into. Placing his large-scale, often whimsical sculptures along paths carved though his arboreally forested property just off the shore of Lake Superior, Tom has created a year-round attraction accessible by foot, bike or car during the summer, and snow mobile or skis during the winter. Tom's hospitality is legendary, offering visitors a place to sit out of the weather, a warm fire or cup of hot coffee and always a listening ear. You will find fantasy creatures, an idealized mining company, tributes to the men and women who work the UP's iron and maybe a political commentary or two. There is something new to see around every corner, and I find myself discovering something new every time I visit. 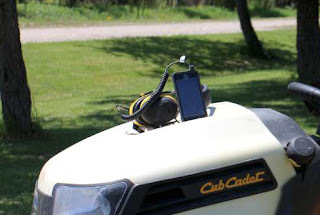 This is not the only time you will hear music on the grounds at Lakenenland. The Lakenens are a musical family so I am certain there is a plethora of music every time their family gathers (and it's a LARGE family, so I'm sure that's often). I know there is at least one semi-regular folk jam that convenes on the grounds, and I've heard stories of mid-winter jaunts to the park for midnight jams in the snow. Cody made a name for himself busking in the streets of Marquette as the bars let out to make a few bucks (I'm sure that is how he paid for many of the earlier festivals). He is a tremendous blues/slide guitar player and talented blue-collar songwriter. His ode to his brother in Ironworker's Local 8, I'm an Iron Workin' Man is the sort of song that gets in your head and rattles around for days. For years, Cody has been entertaining the crew after hours at the Marquette Area Blues Fest with his original songs performed on his National Guitar. While his travels around the country for work make it difficult to put down musical roots, Cody premiered The Cody Lakenen Band at the festival, with the addition of drummer Brandon Snyder and Bassist Becca Roo. For a young, new band, their set was clean, tight and had great drive, groove and energy. I'd go see them play any time! The Festival kicked off with a short list of Friday night acts playing under an unseasonably cold, misty sky. Thankfully, a supply of firewood kept the fires roaring and the crowds in good spirits. Longtime local singer/songwiter Mike Waite kicked it off with a groovy band of friends. Their set was high energy, entertaining, and featured some killer upright bass licks and mind-blowing harmony singing. Folk-rockers The Daydreamers followed and kept the energy high with their mostly original set of foot tapping music. Eclectic brass party band, Who Dat Brass followed with their quirky, yet completely mesmerizing mix of jazz, funk and rock. This is the third or fourth time I've seen them and they just keep getting better. The evening wrapped up to roaring bonfires and the jam-band sounds of local band Not Quite Canada. I've mentioned before that jam bands are DEFINITELY not my thing, but somehow I really like these guys. After a glitch sidelined the main PA system, the band kicked off with a couple groovy instrumentals, and then--aided by a patched together second stage PA work-around--entertained the crowd with a mixed bag of jam-band covers done their way. It was their original tune Smokin' in the Sauna that impressed me the most. Great funk/reggae groove and a killer bass line got the whole crowd dancing. Cody must have done something to please the weather gods, as the next day dawned with bluebird skies, calm winds, sunshine and mid-70s temperatures. The perfect day to be alive and listening to live, local music in the Upper Penninsula. The day featured a baker's dozen or so of mostly local acts alternating between the main stage, and the "Haley Memorial" stage (constructed from the front half of a commercial fishing boat). With the PA back in tip-top shape, the day kicked off with a couple local artists in "open mic" format. The sound was great, the music fine, and the fellowship first rate. Singer/Songwriters Allen Dupras and Robin Leitch ("Lifestyles of the Poor and Unknown) entertained the crowd with great vocals and guitar picking while Zach Lancaster and Tyler Dettloff both turned in great sets of old-time and blues numbers. Regular Lakenenland jam session attendees Dr. J and the Pickers kept things going with a ton of catchy cover tunes as the headliners got ready to go. Detroit Ted combined some storytelling with picking (dobro, guitar and banjo!) and really connected with the crowd. Two of my favorite acts of the day both featured local manolinist Sam Graves. Lake of Shadows played a bunch of their original heartbreak songs. Almost contemporay/pop in nature I found their songs compelling, the mix of acoustic instruments, percussion, glockenspiel and harmony vocals to be refreshing and ultimately listenable. Bedrooms & Basements is Sam's duo project with guitarist Taylor Martin. They covered a lot of instantly recognizable songs (including a pair of memorable Fleetwood Mac tunes) that are hauntingly unique in their interpretation. The final three bands on the main stage set the standard for outdoor, live, electric music for the summer. The Derrell Syria project led off with their unique brand of Yooper Infused Reggae (yeah--it's a thing). Derrell is one of the best jazz/soul/rock guitar players I've seen, and anchored by a killer rhythm section featuring his son Ethan, put on one incredibly entertaining set that had most of the crowd in front of the stage swaying along to I'm a UP Boy. Derrel's bassist, Cliff, is one of the more unique, percussive musicians you will find and adds a high-voltage energy and drive to their music. Ethan's other band, Lumi followed. A funk-fueled jam-band with a world rhythm component, they bring unbridled enthusiasm to life on stage. It is no wonder that they have a diverse, eclectic and broad fan base that follows them everywhere they paly. This was a very entertaining set from start to finish (Finnish?). The Organgrinders, the crowd and the stars. Magic. Links to a LOT more pics on the Semibluegrass facebook page here. Please tag people in the album (it's public) and feel free to share (with credit to www.semibluesgrass.com). Like what you read? Follow SeMiBluegrass on Facebook for more live, local music review and band profiles. Friends, Fans and Family at the Milan Bluegrass Festival. It's already been a long year of music festivals--Charlotte, Folk-In-The-Woods, Forestville, Marshall--with more yet to come. Just got back from a bluegrass festival that holds a special place in my heart. My motto has always been "the People, the Places, and the Music" and no one place captures the quintessential essence of that sentiment more than this annual gathering of friends, fans and families at the KC Campground for the 20th Milan Bluegrass Festival. 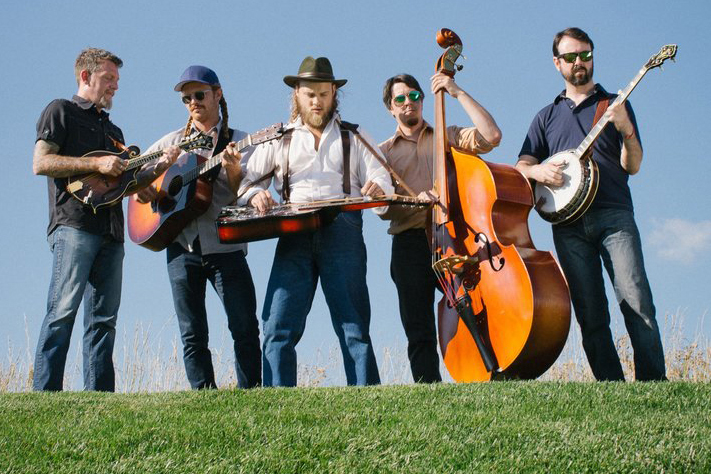 This festival boasts all the big-name acts as well as plenty of local and regional bands covering the spectrum of bluegrass today. This year even included a set from Country music legend Gene Watson. But there is so much more that this festival has to offer than just the best in bluegrass music. The site of the festival is the KC Campground. This well maintained and professionally run operation boasts ample camping, plenty of shade, a swimming pond and play area for the kids and some delicious food options. The "Snack Shack" can feed that burger-and-fry craving, the "Ice Cream Shack" does booming business keeping the crowd cooled off with delicious treats, and the staff in the main office serves up some killer renditions of soup beans and cornbread. The non-profit organization T.H.A.N.K.S. also does a BBQ dinner each night available for a low, low price with all proceeds going to assist children in need. The first class stage is comfortable for the performers and allow the crowd to see and hear everything (thanks in large part to sound man Jimmy Kittle who works tirelessly to tweak the sound to perfection). Emcee, bluegrass legend Blake Williams, runs a tight ship, getting bands on and off stage promptly and keeping the crowd's energy at maximum with his wit and humor. Owner and Festival Promoter Mark Gaynier prides himself on a smooth running festival. His employees are some of the hardest working (and happiest) you will find. A small army of young workers keeps things rolling, the food hot and fresh, and the garbage picked up. There were ample picnic tables and fire rings for all the campsites. Ice was available at reasonable rates all weekend, and the camp store stocked not only a small selection of staple items, but those hard-to-find-but-essential items for camping--be it RV accessories, mosquito coils or sunscreen, they had what you needed (or would go find it!). I have been recommending KC Campground to my friends for years. It's a great place to take the family for a weekend or a vacation (even when there's not a bluegrass music festival). The Music at the Milan Bluegrass Festival is first rate as well. Unlike past years, when the festival started with local bands on Thursday and built to the "A List" bands on Saturday, Mark mixes things up, offering a taste of something for everyone's taste each day. This year, the festival kicked off with fiddle phenom Michael Cleveland and his award-winning band, Flamekeeper. 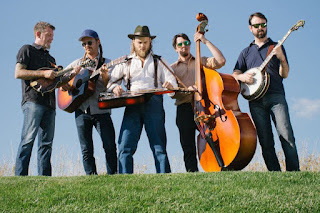 Despite the high temperatures and oppressive humidity, the band set a finger blurring, mind-blowing pace and whipped the crowd into a frenzy with their hard-driving take on traditional bluegrass. Summer Brooke and the Mountain Faith Band followed with a set of mixed contemporary songs and gospel influenced original material that was equally energetic and entertaining. The ever-popular Nothin' Fancy brought their unique brand music and entertainment to keep thing going. Fiddler-of the Year nominee Becky Buller (with Banjo-Player-Of-The-Year nominee Ned Luberecki) hit the stage next with the best "single mic" performance of the year (thanks in no small part to Ear Trumpet Labs). Becky graciously did a live piece on the Ol' Hippie Bluegrass Show (streaming "live from the RV" on WorldWide Bluegrass). As has become a tradition, there was discussion of the festival, upcoming gigs and pimento cheese. Becky even judged the first-annual "Pimento Cheese Off To the Death", with host Jerry Eicher's traditional pimento cheese narrowly edging out the SeMiBluegrass entry to take the crown. The evening was capped off with a high-energy set from crowd favorite The Lonesome River Band who helped celebrate 20 years of the festival with an inspired set of classic LRB Tunes. Original band member Sammy Shelor was all over the stage and smiling ear-to-ear during the set with guitarist/vocalist Brandon Rickman not only singing and playing his heart out, but even managing one of his infamous on-the-fly string changes. My very first exposure to Bluegrass music was through the band Chasin' Steel, who made the long drive from Marquette to kick off the second day of the festival with their edgy set of traditional and contemporary covers as well as hard-driving, high-energy originals. They had the crowd up and dancing with several of their numbers. Rising stars Breaking Grass followed and kept the energy high with their own brand of edgy, modern-yet-classic bluegrass. Joe Mullins and the Radio Ramblers brought two sets of traditional bluegrass music polished to a high luster, followed by the amazing vocal harmonies an killer breaks of Flatt Lonesome. Russell Moore and IIIrd Tyme out capped the evening, filling the trees of the campground with his lush, rich vocals and the ripping bluegrass sounds of the band. The jams picked up in the campground soon after, with several of them stretching into the first peeks of daylight--another time-honored bluegrass tradition that is making a strong comeback at the Milan Bluegrass Festival. Saturday brought the best weather, biggest crowds and biggest bands to the stage. Kicking off the day was Volume Five and their lightning-fast instrumentals and thunderous vocal harmonies. Family act the Trinity River Band came next. After a year on the road, they returned even more polished and put on one heck of an entertaining show. The Grascals followed with their new, sleeker lineup. Personally, I like their new sound, and Kristen Scott Benson stands out now not for her banjo picking (with is stellar) but for her vocal contributions. I hope she continues sing her heart out on stage! Rhonda Vincent brought the Martha White Express to Milan to cap off the first set with a set of crowd favorites. As hard as it is to believe, the bands' second sets were even more powerful and entertaining than the first. After a break to switch the stage from an acoustic to electric set-up, country music legend Gene Watson capped the evening with a full two-hour set of his classic country hits. Foremost, festivals are an essential part of my life due to the people I have grown to know through live, local music. This festival is also home of the Southeast Michigan Bluegrass Music Association, dedicated to not only promoting, but preserving the bluegrass heritage in the area. Each year they induct new members into their "Hall of Honor" at the festival. This year's inductees included the original owners of the campground, the original promoters and Bill and Pam Warren, who's tireless efforts keep the association running. Milan holds a special place in my heart for the community we have built there. When you camp at the Milan Bluegrass Festival, you are not a friend, or a fan, you are FAMILY. There is a spirit of mutual respect, sharing and tolerance that is so absent from modern life and so powerful in this setting, that this single weekend restores my spirit, faith in humanity, and re-energizes me for yet another year. For the past three years, we have set up the "SeMiBluegrass Jam Tent" in the grassy, "rustic" camping area of the campground and invite all to drop by and pick a few. We're easy to find, with the Ol' Hippie Bluegrass Show's teepee as a landmark to find us. There are kids just learning to play standing side-by-side with veteran jammers. Fiddlin' Dixie dropped by with a couple students who sang a few songs. Chasin' Steel dropped in for a couple hours before heading back to Marquette. Each year, those who jam come back, and those new to the jam promise to return. Long time campers in the area, the White sisters--granddaughters of Hall-of-Fame 2017 inductee Bob White are fixtures at the campgroud jams. This year, Jerry Eicher asked them to do a couple songs for his "Jam in the RV" session on the Ol Hippie Bluegrass show (video embedded below). They chose to do three songs that magically captured the essence of Milan and why it holds a special place in my heart. Not 100% sure of the song titles, but they performed the following: Summers up in Milan is a reworded cover of a (Gillian Welch?) song that speaks to the memories of KC Campground and the Milan Bluegrass Festival in their youth and why this was so special to them. They followed with a cover of Michigan and Again by the Accidentals--a song of what draws people to Michigan, and keeps a bit of their heart when they leave. They closed with Summer Flowers, a melancholy song written by their father. As his daughters sing it in perfect sister harmony, you can not help but feel the human connection that binds their family together though the music and memories that they shared. It is a connection that all of us at the Milan Bluegrass Festival feel; and what keeps us coming back year after year. The 2018 Milan Bluegrass Festival is scheduled for August 2-4, 2018. Make a point of attending. And come pick a song or two with us at SeMiBluegrass. Many more photos from the event in this gallery and on www.facebook.com/SeMiBluegrass. Please follow us here, and on facebook. Please share freely and tag your friends. Sometimes, when you bring together people in a spectacular setting, and mix in some live, local music, you have an event that mystically gains the power to transcend mere entertainment and build an ephemeral community bound by mutual interests and respect. Add to that some perfect summer weather, a handful of high-quality local food trucks, thousands of trees, millions of stars and a crowd of enthusiastic music/beer/mountain biking fans and you have something truly special. Such was the case this past weekend at the Forestville 2017 Music Festival in Marquette. Over the past three years, organizers Laurie Neldberg-Weesen of the Noquemanon Trail Network (NTN) and Andy Langlois of Blackrocks Brewery have put together a unique event to raise funds for the NTN--which maintains miles of non-motorized trail systems (cross country skiing, hiking, mountain biking, snow biking, etc.). Set deep in the woods at the Forestville Trailhead, they erect a soaring parabolic stage and put on two days of live music and craft beer sampling. Due to limited parking, attendees are encouraged to camp out under the trees and leave their cars in off-site parking (the festival provides shuttle transportation). Those not wishing to camp are provided free shuttle transportation to and from Marquette, which not only alleviates the parking pressure, but eliminates concerns about drinking and driving--a brilliant idea that should appeal to many other festival organizers! 90 Seconds of Pizza Goodness from Copper Crust Co. In addition to the music and beer, Forestville invites some spectacular Food trucks to participate and feed the hungry masses. Of course, legendary Dia de los Tacos (defending their second Food Truck Taco of the Year title) was on hand, killing it with the most flavorful and satisfying street tacos in the country! They were happy to oblige my "no carb" diet with a shell-free Ms. Piggy, which--complemented by their home made taco sauce and a squeeze of lime made the very best taco salad I've ever eaten. Copper Crust Co. was also in attendance with hand-crafted, made-to-order artisan pizzas charred to perfection before your eyes in less than two minutes in their 800 degree wood fired oven. Definitely the award for hustle went to the guys at Superior Mobile Koney, who were not only the first to set up on Friday, but stayed up into the wee hours of the night satisfying the cravings of beer soaked revelers. More impressive even, was that they were back at it at the crack of dawn with amazing breakfast burritos to fuel the early morning risers and mountain biking enthusiasts out for a sunrise ride. Just as much a part of the event as the music are the Michigan craft brewers who assemble to offer samples. Host/Sponsor Blackrocks Brewery (Marquette) was there with a full lineup of unique, high-quality offerings. Their Raspberry Razzle (a dry hopped cream ale with a subtle dose of fresh raspberry) was a real standout. I also enjoyed the slightly salty No Pepper Gose from The Mitten Brewing Company (Grand Rapids)--a little bit sour, very smooth and an almost savory aftertaste. Really unique and satisfying on a hot day. Dark Horse Brewery (Marshall) was a huge hit on Friday night with their Smells Like a Safety Meeting. Of course Bell's Brewery (Kalamazoo), Founders Brewing Company (Grand Rapids), and Short's Brewery (Bellaire) were there in style, with a full line-up of their massively popular beers. Short's even brought their high-quality hard cider operation, Starcut Ciders, with both semi-sweet and semi-dry varietys that made for a nice change amid the high-octane beer offerings. Local favorites Ore Dock Brewing Company (Marquette) rounded out the offerings. If you're not familiar with Ore Dock, check them out. They not only produce some crazy good beers, but are an active sponsor and host of live music in Marquette, presenting not only local bands, but regional and national touring acts on a regular basis. Just Ask Piglet--Sombrero Sound is the Best! And then there's the music. Forestville offers an eclectic mix of bands from a variety of styles, so there's something for everyone--whether it's on the electrified main stage, or the smaller, more intimate (and often acoustically driven) side-stage between acts. Making it all work is Jim Supanich of Sombrero Sound Company. Having seen Jim's work at various festivals, I'm definitely of the opinion that he may well be the best sound man in Michigan. Throughout the festival, Jim provided pro sound that was rich, lush and crystal clear--whether you were in the beer tent, in front of the stage or even deep in the woods--you could hear every nuance of every note. Remarkably, even though he was pumping out volume at 90+dB, you could hold a conversation with your neighbor without shouting--even in front of the main speakers. As a tribute to his monitor crew (Dan and Tracy Zini), it struck me that I heard nary a squeal of feedback or request for "more of this in the monitor" during the entire weekend! Andy even hired a DJ/Lighting crew to contribute some animated laser graphics on the stage roof throughout the show making this one memorable venue. To really hear the difference Sombrero Sound makes, you should check out the Hiawatha Traditional Music Festival, Free the Music Fest or Marquette Area Blues Fest this summer--you won't be sorry! The Friday night music was kicked off by local Party-Funk band Frank an da Beanz who combined mid-90s neon fabulous style with danceable grooves to get the party started. The band combines classic covers with a variety of deeper cuts to keep things interesting. Frontman/Bassist Evan Simula keeps it funky and contributes some stellar vocals to the mix. Jake and Brian trade lead and rhythm on guitar and Drummer Chris and Peter on keys keep the energy on "eleven". While the crew switched over the stage, guitar phenom Andreas Kapsalis hit the stage with his unique fingerstyle/tapping/rhythmic songs. You have to watch the video to appreciate all he does. Great singer and a really nice guy as well. Closing out the show Friday were local legends Conga Se Menne who brought their Finnish Reggae stylings to the north woods and got the entire festival up on their feet. Don't be misled by the genre-mishmash and semi-goofy lyrics. This band features some of the best professional musicians I know including Derrel Syria on guitar, David Ziegner on bass and a rhythm section lead by Darrel's son Ethan on the Congas. I really enjoy this band every time I see them and I'm glad they're starting to play some of the downstate festivals. Nights at Forestville often feature a spontaneous jam session where musicians from stage, as well as campground amateurs join in for some funky-cool jamming. You never know what you'll see (as evidenced by the short video clip above). Andy wisely cuts off these electric jams at 1:00, striking a balance between the needs of those who want to keep the party going, and those trying to catch a few winks under the stars. The main event on Saturday kicked off with local rhythm band Logjam who elected to set up in the woods and get things going with their mashup of native and African drum rhythms, Mardi-gras themed belly dancing and quirky lyrical stylings. Impossible to categorize, it was none-the-less enticing and drew folks from all over the festival grounds to see them in action. The day was jammed packed with music from this point on. However, since I had volunteered to cover the front gate for quite a bit of that time, I didn't get the chance to shoot any video. I did listen to every act through the trees, and wandered back to take quite a few pictures, so I'll spotlight a few of the standout acts. Andreas Kapsalis once again performed a killer set of his original tunes. My favorite jam-band of the day, The Marsupials followed with a high-energy, funkified, hyper-active set of driving music that was just as fun to watch as it was to listen to. Local Old Tyme Stringband/ Bluegrassy act Wild Hack followed with some hard-driving (mostly) acoustic music that got the crowd moving--very "Semibluegrass". I'm familiar with Travis Swanson from various blues projects. However, this jazz-influenced quintet (drums, upright bass and two saxophones to compliment Travis' guitar) really lets him spread his musical wings and soar. Bluegrass duo John Gillette & Sarah Mittlefehldt blew up the side stage with some traditional bluegrass and sweet harmonies. I could easily see them playing one of the bigger downstate festivals next year (maybe Charlotte or Marshall?). Local young-guns jam band Lumi was up next with their world-rhythm section and funky bass-driven sounds. Very enjoyable and very polished. Blues/Rock/Jam combo Lost Dog & the Big Hustle hit the side stage with some hard-working, blue collar jams and lit the dinner crowd on fire. I missed Tyler Dettloff's set (gate duty) but loved his fok/blues set. This young man has an old soul, and brings a remarkably nuanced sound to his songs with solid guitar work, souldful vocals and some self-acompanied percussion played on a suitcase. He's playing Free the Music Fest and the Marquette Area Blues Fest in the coming months, and I can't wait to see him live. Port Huron band The Gasoline Gypsies, despite a GPS malfunction and hair-raising adventure with a travel trailer and some two track roads, arrived to treat the crowd to a set of original, rock and roll music. I've gotten to know these guys pretty well, and you will not find a harder working, more genuine group of young men around. In true gypsy spirit, once you have met them, you are "family". G-Snacks in a total Rock Star Moment. The unenviable talk of following the Gypsies fell to local brass/jam band Who Dat Brass, who know how to bring the party and mixed some original tuba-driven funky tunes in with some tasty covers to get the crowd dancing. The band has an instant coolness that's hard to define, and yet seems endlessly approachable and affable. I have seen few bands able to connect with an audience as easily as they do, and it leads to a great time for everyone. Saturday headliners, G-Snacks out of Traverse City ended the show with a funky, driving jam complete with light show, fog machines and rock star poses. As the beer-fueled dancers worked off a couple of pints in front of the stage, the moon rose over a perfect, cool summer evening and capped of a terrific weekend of music. The next morning, as campers got up early and left (the site hasto be vacated by noon), I walked the ground and was impressed by the "leave no trace" ethic that was so evident. In part due to some dedicated volunteers collecting trash and equipment in the morning, and partly due to the diligence of all the festival goers, there was no trash to be found and no damage evident to the grounds, grass or facilities. I even caught members of the Gasoline Gypsies volunteering to help remove the remaining fencing from the grounds. As I left the grounds just before noon, I looked around and--like a midsummer's night fairy garden--the magical, mystical, musical wonderland that had existed the previous day was gone; replaced by the trees, the birds and the sky; along with the memories of friends new and old and the faint echos of melody and rhythm carried on the warm summer breeze. Goodbye Forestville. See you next year. Click the link below to view more pictures from the event. Please share this album freely and TAG YOUR FRIENDS IN THE PICTURES. Like what you see? Follow SeMiBluegrass online (www.semibluegrass.com) or "like" us on Facebook (http://www.facebook.com/SeMiBluegrass). Letting it all hang out with the Gasoline Gypsies! Just a short review of the outstanding album release show I saw last weekend at Otus Supply featuring Tripp N Dixie, the Mike Leslie Band and the Gasoline Gypsies. First off, the Parliament Room at Otus Supply continues to evolve into the premier live, local venue in southeast Michigan, presenting the best in both local, and nationally touring acts in an intimate setting, with friendly staff, great bar offerings and some of the best food in town. If you have not caught a show there yet, you owe it to yourself to pay them a visit. On a perfect summer evening, just past the longest day of summer, the Gasoline Gypsies introduced their new EP Killing Time (available on iTunes, CD Baby and Amazon.com) to a packed house of fans and Port Huron faithful. What a show! Rockin' out with Tripp N Dixie! Kicking off the evening were Pontiac-based Tripp N Dixie, a six-piece electric rock and roll band encompassing everything that defines the Southeast Michigan rock scene--driving rhythms; skin-tight guitar arrangements; and over-the-top vocals. Frontman Rozz Rosales is able to capture the mid-90s grunge-rock attitude and stage swagger, with an updated sound defined by his crystal clear, dynamic and soulful vocals. Guitarists Adam and Mike trade lead and rhythm lines seamlessly. A driving rhythm section of drums (Scotty), bass (Brian) and Keys (Conner) fill out the band's sound and keeps the crowd on their feet and dancing. With songs ranging from dark and soulful to bright and energetic, the band's set covered the gamut of modern Michigan rock and proved infinitely interesting and entertaining to watch. Check them out. The Mike Leslie Band killin' it! The evening continued with the Mike Leslie band. You may be familiar with Mike as the lead guitarist from seminal Seattle-based rock band Candlebox. On this night, he stepped out with a stripped-down power-trio setup featuring Johnny Albert Abel on bass that absolutely defined "in your face rock and roll". His high-powered lyrics and killer lead playing could very well have stolen the show this evening, but Mike, always the consummate professional, donned a Gasoline Gypsies tee shirt for the set, remembered to give frequent shout-outs to the bar, and other bands, and even invited the Gypsies on stage for his closing number, a rollicking cover of the Motown classic Heard It Through the Grapevine which featured a "four hands, one bass" solo from Johnny and Steve of the Gypsies. Very entertaining and professional and a must-see act when they make it to a venue near you! Like all good album release parties, the Gypsies played through the entire album (as well as a couple of old favorites) as the night went on. All the songs this night showcased what makes the Gypsies special--the incredible songwriting, vocals and super-clean lead licks of frontman Caleb Malooley; the lush and complex, sometimes funky bass lines and harmony vocals of Steve Briere; the super-tasty rhythm and lead playing of "new guy" Neal Love--who is really developing a unique style with the band; and--who can forget--the super-clean, super-crisp drumming of Joe Makowski (who ended the night with one of the finest drum solo's I've heard). Something's Got to Give is a deeply introspective and somewhat haunting ode to lazy days and suffering motivations. Run Baby Run features toe-tapping, infectious rhythm/melody line supporting some of the best harmonies the boys have recorded to date. View From the Gallows is a scorching, powerful song that features grinding lyrics and soaring guitar work. Salem, recorded live, is a driving song that balances Steve's thunderous bass licks perfectly with dueling/twin guitar lines from Caleb and Neal--coupled with killer harmonies, this song is an instant favorite. The title track Killin' Time is a poignant, angst-ridden power ballad, balancing the dark lyrics with bright, somewhat dissonant harmony vocals. Norma Jeane is a tune that's been floating around on various YouTube videos and demo CDs for a couple years now and is a funkified favorite of mine--a song that always gets the crowd dancing. Smoke 'n' Chew is a folk-funky, high-energy, good-time party-rocker that the Gypsies chose to end the night with, and which features an impossible to describe drum solo from Makowski. I have the Gypsies on my calendar for a couple more shows this month, so watch for more from these guys. Not bluegrass, but definitely awesome to watch live (though rumor has it Caleb is more than a passing fan of bluegrass, so who knows...). As the school year winds down and preparations begin for my action filled summer of "People, Places and Music (with some fishing tossed in)", I find myself adrift in that dreaded morass of maintenance, cleanup and lawn care that consumes far too many beautiful, sunny days. The last of these--the lawn--is most heinous this year; with abundant, soaking rains and warm, sunny days partnering to keep my lawn "April Fresh" all the way into June! As you may recall from last year, the month of May seems to also bring a flood of new, interesting music to help while away the tedious hours of suburban toil and help maintain a modicum of sanity in an otherwise bustling and too-busy world. This year is no exception, and I thought I would share a few with the SeMiBluegrass audience to help them over the final hump and into summer. I tried to put links to where you can purchase their music as well (and support live, local music--the best way to beat the pre-summer blahs!). 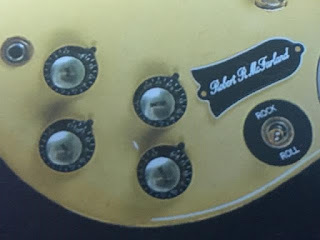 While not a local musician, I became aware of the "Rock and Roll King" Robert R. McFarland when he ordered a custom 5-string banjo from Companion Custom Banjos. 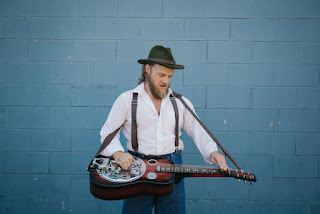 No "weekend folkie" Open Back banjo or "Bro Country Wannabee" six-string Banjotar for this picker, but a 100% bluegrass-style 5-sting resonator. When Robert saw the mention of his "sun and moon banjo" in that review, he graciously sent me a copy of his superb double-CD Rock and Roll. Much like his chosen electric genre, the album is anything but subtle, presenting roughly two dozen hard-driving, in-your-face, original rock songs on the two discs named (again, no subtlety) "Rock" and "Roll". I've actually put quite a few mile on this CD--literally and figuratively--as a coping mechanism for my other Michigan spring pet peeve--construction delays. This immaculately arranged and recorded collection is perfect when you just want to hit play, tune out and let the music carry you to your destination. While every song features McFarland on vocals and lead guitar, there is an incredible diversity of sounds here that make each song unique. His powerful and soulful voice ranges from a gravelly baritone to a bell-clear tenor and hints at a barely contained explosion of emotion waiting to be released upon the listener. Instrumentally, he pushes his Gibson SG to the very limit of versatility; dripping with tone and equally complex whether playing clean or impossibly compressed. Like many great guitarists, he blends lavish rhythm licks with complex leads to build a wall of sound you'd expect from two (or more) well-rehearsed guitarists. McFarland does spread his bluegrass wings a couple of time. My Dog''s Name is Rusty is a straight-forward, cowboy chord bluegrass standard featuring Robert's take on bluegrass flatpicking and some killer Lester Flatt G-runs. On another song, he blends some killer mandolin rhythm licks in the introduction to a smoking hot blues-rock number--completely unexpected and completely awesome (like this whole album). Your can find Robert R. McFarland's music HERE and HERE, but order the CD from CD Baby (because of the shipping notification--duh). Two years ago, at a Jameson-fueled 2AM jam at the Wheatland Music Festival, I met a talented singer/multi-instrumentalist, Nate Roberts, from the west side of the state. 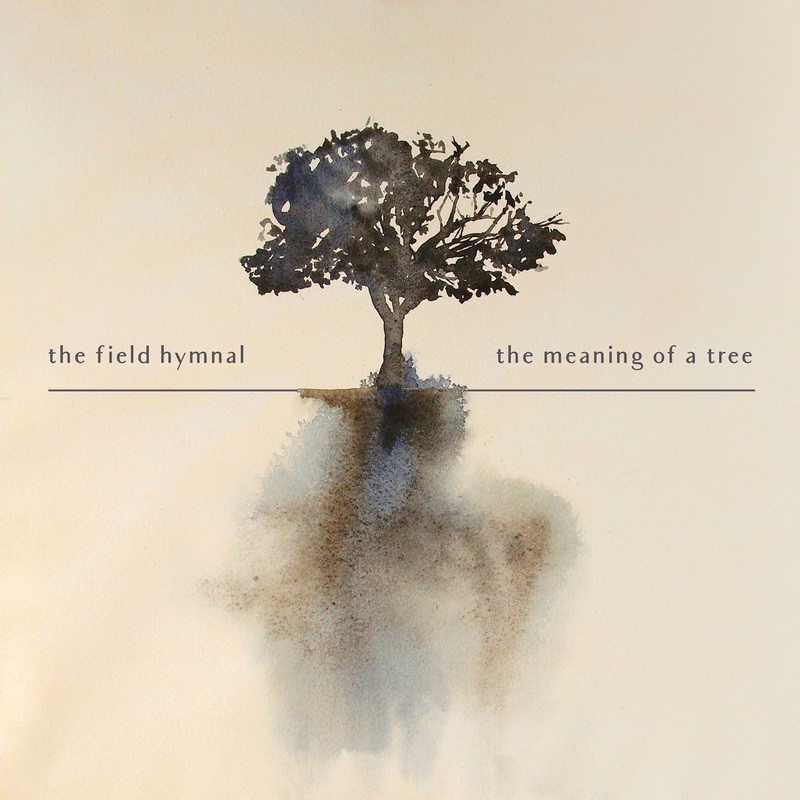 Nate reached out to me to let me know of a stripped-down, heavily bluegrass influenced project he's been working on--The Field Hymnal. This "indie-grass" band has a unique sound built around Robert's songwriting and virtuoso mandolin picking behind Angelee Berrian's plaintive and sorrowful vocals. The band fills out the sound with Luke Panning's swirling fiddle melodies and rock solid rhythm of Jared DeMeester on Bass. Their sound is contemporary and traditional at the same time, and features some incredible harmony singing. The band is currently running a small Kickstarter campaign to finance printing of their new CD, The Meaning of a Tree. I highly recommend you give them a listen, both bluegrass aficionados and devotees of modern, local music will find something you love here. 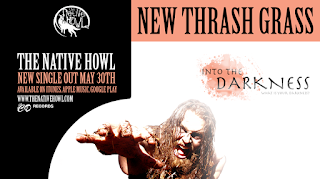 Speaking of the The Native Howl, you may remember I've written about them and their take on acoustic/metal/folk music Thrashgrass in the past. Ten million FaceBook video views later the band is kicking off nationwide summer tour that schizophrenically pairs headlining gigs at The Wisconsin Blueberry Festival with The Stoned Meadow of Doom Fest . To prime the summer pump, the band is preparing to release their project Into the Darkness the day before their show at the Ark. The album promises to be an exploration of the darker, more thrashy side of thrashgrass fueled by lead-man Alex Holycross' near-demonic "metal voice" and doomsday inspired, go-for-broke drumming of Joshua Lemieux. Paired with Mark Chandler's lightning fast work on the base and guitar/vocal/banjo/harp from Jake Sawicki, this will be an album that is hard to ignore. The band--masters of social media--have managed to remain fairly tight-lipped about the project, other than an occasional snippet of a lyric, photo shoot or video released to build the suspense. You should definitely check them out, and buy the album when it comes out. I actually met The Native Howl as part of the North Winds Tour they did with their friends The Gasoline Gypsies who, coincidentally, also have a new album coming out this July 1. 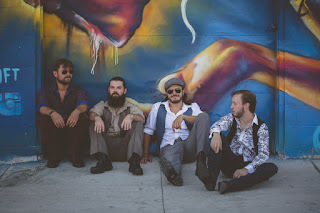 Driven by the intensly talent songwriting and lead guitar of frontman Caleb Malooley, the Gypsies deliver pure, Detroit-style (they would argue Port Huron Style) modern rock-and-roll with a folk music sensibility. Bassist Steve Briere and drummer Joe Makowski are arguably the best rhythm section partners in the state right now, and their music has incredible drive and energy in large part from this pair's contribution. With new rhythm/lead guitarist Neal Love, the new songs that have leaked out have all the energy of their past album, with a new level of intricacy and musicianship. I was pleased to learn the band has booked a gig at the Forestville Music/Beer Festival in Marquette--a venue tailor made for them. Music fans in Marquette, watch out, you're in for a treat under the trees. So, with summer around the corner, get out there, tune in, and turn on some new music. It's out there. And it's really, really good! After a long, grueling workweek, sometimes you just have to get out of the house and blow out the cobwebs with something completely different. I ran into the Tom Toms atThe New Way Bar last week after a killer show by Samantha Fish at Callahans, and they clued me into their next show at Churchill's in Flint. Better yet, they let me know that The Haberdasher--the new, hard-to-define side project of a couple of killer Port Huron musician's I've gotten to know--would be opening for them. Since I love the atmosphere at Churchill's (killer grub, great beer selection at reasonable prices, no cover and professional, friendly staff and impressive service--check them out) I decided there was no better way to close out a crazy week than catching the show, and Boy Howdy! am I glad I did. The Haberdasher is hard to explain; the brainchild of several well-traveled Port Huron area musicians, the band is built around a story-line involving an immortal being traveling through history making music and only known as "the Haberdasher". The band totally immerses themselves in the story, from their eclectic and eccentric costuming (which combines a steampunk ethos with rock star attitude and some inspired choices in hat wear) to their well-structured and cohesive set of totally original music. Reflecting the mythical Haberdasher's journey, their songs span an infinite variety of rock/punk genres from 80s era MTV pop, to classic 90s punk, JPop and even some heavier metal influences. Adding to the complexity and nuance of the songs, the band rotates lead and harmony parts to fit the mood of the song, and is not afraid to dabble in foreign languages--on this night, the presented songs in French, Spanish and Japanese in addition to spoken, sung, growled and shouted verses in every imaginable English accent. Each song features a spoken introduction (often accompanied by a somewhat cacophonous, melodyless musical line plucked, tapped and/or beaten out of guitar and bass, and often routed through a variety of delay, distortion and phasing pedals to create a flowing background. "The Orator", "The Horologist" and "The Oculist"
I also know guitarist Robin "The Amanuensis" Schweihofer from his stint with the Gasoline Gypsies (and more recently, from he and McInnis' sometimes lewd and ribald take on Irish drinking songs done under the pseudonym The Robin and the Rhino--another band totally worth checking out). He is among the best rhythm guitar players I know, launching himself physically, musically and emotionally 100% into every note he plays. Unable to contain his enthusiasm, he dances, prances and swaggers around on stage as he play and provides nearly unlimited drive and energy to the performance. He's also an accomplished lead player, trading riffs back and forth with lead guitarist Daniel "The Oculist" Peake--who's tone-dripping work on a well-loved Les Paul serves as perfect counterpoint to Schwei's Stratocaster licks. Holding everything together with an all-consuming pocket groove is drummer Steven "The Horologist" Krautz, who's lightning-quick hands, and incredibly light touch give every note a sharp attack, as clean as the CRACK of breaking glass and always right on the front edge of the beat. As a fairly new band, I was blown away that they were prepared to present not only a 45-minute set of purely original music; but that they were obviously well-rehearsed, cared enough to develop their characters and even brought a 9-song live EP for sale (Professionally produced and recorded live at Schwonk Soundstead in Port Huron--and already on it's 10th trip through my CD player as it really captures the spirit of the band!) Go see The Haberdasher, you will not be disappointed. You would think that--after having my mind absolutely blown by the Haberdasher--that I'd be ready to call it a week and head home for some must deserved sleep--and you couldn't be be more wrong. The headliner for the night was local Flint band The Tom Toms. Mind blowing in their own way, I have been a fan of the band since they absolutely stole the show at Folk In The Woods last summer. The band delivers some pure Southeastern Michigan rock led by the killer talent of guitarist Chris Day, his wife Kayla (lead vocals), sister Elaina Day (bass) and new addition Micha Mac on drums. I am always blown away by Chris' work on his Les Paul--plugged directly into the amp (as it should be). He is able to coax incredibly nuanced sounds and tone from his instrument with seemingly effortless ease. Early in the evening, Chris kicked off an inspired cover of the Jackson Five's monster hit I Want You Back, perfectly capturing the Motown Funk and Soul of the song while somehow making it his own. If Chris provides the band's soul, Kayla is it's heart; putting everything she has into every word, every move and every facial expression on stage. She has mastered the art of balancing unbridled enthusiasm with an honest vulnerability on stage that gives incredibly authentic power to her words. She is a pleasure to watch sing. A highlight of the evening was her playing a couple slide riff's on Chris' guitar using a half-full pint glass of beer--and she didn't spill a drop! The Girls in this band can BRING IT! Every time I see Elaina Day play the bass, I think that Robert Palmer blew it when he shot the famous video for Addicted to Love which featured some barbie-doll model types dancing and prancing on stage while simulating playing along with the band. The truth is none of these women could hold a candle to the natural beauty, killer musical talent and pure, authentic joy Elaina brings to to every performance. Micha May--a recent, and perfect, addition to the band's sound--sits behind the kit like a classic jazz drummer; confident and talented as she effortlessly provides clean, clear and complex beats to compliment the band's sound. Want a taste of the Tom Tom's sound? Check out the video from there latest album, Runaway, HERE. Or better yet, go HERE and listen to some samples and/or buy yourself a copy. This is a killer album of orignial rock music highlighting the depth and breadth of what Detroit and Flint rock could--and should--sound like. Lots to like here. I'm currently losing the battle to get the quirky Trust Octopus out of my head from the live performance last night--it's a real earwig. The Tom Toms, The Haberdasher and Churchill's...three great reasons to get out of the house! Go check them all out. Various assorted pics from the night LINKED HERE. Like what you see? Follow SeMiBluegrass on facebook for more band, album, show, venue and product reviews about the live, local music scene in Southeast Mighigan. Pictures are publicly avaialable. Please tag, share and distribute freely with credit and linkback to SeMiBluegrass.